Say No To Violence Against Women (in Brussels). 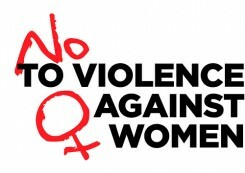 And say No to Violence against Women everywhere else. One out of three women will be affected by some form of violence during their lifetime. How do we define this? How do we deal with it? How do we prevent it? We could be talking about Femicide, Trafficking, Harmful Practices, Sexual Violence, Harassment and the various costs and causal relationships of all of these. It’s a big topic that gets smaller quickly. One out of three, means someone you love. How much more pressing could it be? To raise awareness of the issue of ‘Violence Against Women,’ the United Nations Regional Information Centre for Western Europe (UNRIC) and UN Women, reached out to the European creative community asking citizens to make an ad that screamed No to Violence Against Women. Over 2,700 Europeans from 40 countries across the continent participated. Three prizes were awarded; the jury prize, the youth prize and the public vote prize. The first two were selected by renowned experts and the third by over 120,000 public votes. All details about the jury and prizes can be located on the UNRIC Create for the UN website. From October 22nd to November 6th, Harlan Levey Projects (HLP) in Brussels will host a UNRIC exhibition of the thirty finalists and three jury selected winners. Additionally HLP will host a series of lectures and screenings. While other activities will be announced shortly, confirmed is the screening of the engaging documentary Not For Sale on October 27th. The film challenges traditional views and myths on prostitution. 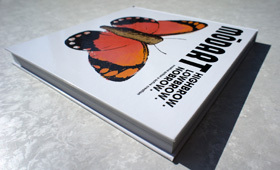 It includes interviews with survivors of trafficking, exploitation and prostitution: women sharing their life experiences and demanding governmental action and responsibility. Not for Sale was directed by Marie Vermeiren and produced by the joint CATW-EWL project on trafficking of women for sexual exploitation. The EU Anti-trafficking Coordinator Myria Vassiliadou, Secretary General of the European Women’s Lobby Cécile Gréboval and the director Marie Vermeiren will be present to discuss trafficking in women for sexual exploitation before the film, which will be followed by a Q & A session with all three women. No New Enemies has 2 (+2) tickets to give away to both the VIP Preview (with keynote toasts from UNRIC Director Afsane Bassir-Pour and UN Goodwill Ambassador Goedele Liekens) and the screening of ‘Not for Sale,’ (Oct. 19th and 27th respectively).